Cape Harbour 12th floor condo!!! 'Low Season' Rates start at $699.00/week!!! Discover the life of your dreams in this luxury yachting community. 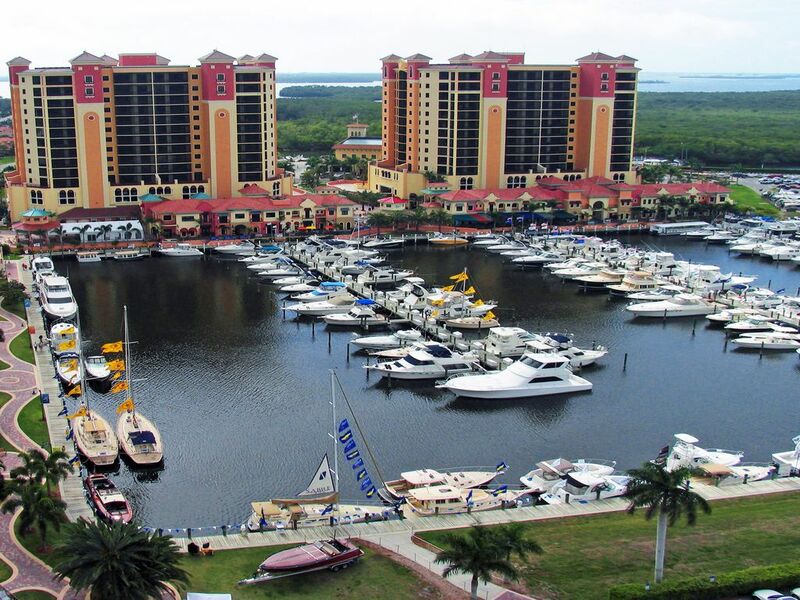 Located on Florida’s pristine southern Gulf Coast in Cape Coral, Cape Harbour is a boater’s paradise. Within a stone’s throw lay the world renowned beaches of Sanibel and Captiva, and the elegant streets of Naples are not far beyond. Four-hundred miles of fresh and saltwater canals flow through Cape Coral. Most of the homes and sites within Cape Harbour have private docks along these canals, giving residents rare, deepwater access to the Intracoastal Waterway and the Gulf of Mexico. Southwest Florida boasts outstanding dining, interesting boutiques and beautiful beaches, as well as an array of galleries, theatres and the performing arts. The Southwest Florida International Airport has daily non-stop flights to Europe, and most major cities in the United States. Cape Harbour is a rare gem and your gateway to the Gulf of Mexico. So what are you waiting for? Come home to Cape Harbour… and live your vacation! Smoking is permitted on terrace. We loved our stay in Cape Harbour. We are already looking to return next year for a longer period. Unfortunately, the condo we rented was already rented for next year, by the time we checked. It was a very nice condo with everything you would need to feel like you are home. The view is the best. The condo had everything we needed. We loved sitting out on the lanai enjoying the view! Hope to be back soon! My sister and I spent almost two weeks in this condo. The arrangement of rooms was great with a view from both bedrooms and the living area. Nice size screened deck was perfect for watching sunrise with a cup of coffee. Kitchen was equipped with just about anything you could want. There were lots of towels in kitchen and bathrooms. We enjoyed breakfast at French Press, dinner at Rum Runners, drinks and music at Fathoms outdoor bar. We had some trouble with the TV in the master bedroom, but the owner was very good about working with us and the cable company to get it working. The only thing missing was a TV in the second bedroom. The condo was very comfortable and had a great view. We arrived by boat and docked in the marina, the only negative of the stay was that there was no cart to carry all of our things from the dock to the condo. Great stay once we got settled. Nice property, good location. Condo is well equipped and good location in building with nice views. Very easy check in and out, instructions clear and concise. Would definitely stay again. Holiday dates may have an up charge and will be included in the quoted rates. AN UPFRONT SECURITY DEPOSIT OF $500.OO CAN BE USED IN LIEW OF THE $59.00 DAMAGE PROTECTION. LET OWNER KNOW AT TIME OF BOOKING.